Gideon Welles was the Secretary of the United States Navy from 1861 to 1869 and a cabinet member during the presidencies of Abraham Lincoln and Andrew Johnson. His development of the Navy into a force that could successfully execute blockades of Southern ports was a key factor in the North’s Civil War victory. Also, he was instrumental in the construction of the ironclad USS Monitor and establishment of the Navy’s Medal of Honor. Born in Glastonbury on July 1, 1802, Welles was the descendent of a family whose roots in colonial Connecticut dated back to 1639. A graduate of Cheshire Academy, Welles later studied law. As a young man, however, Welles turned from law to two spheres of personal fascination. In a time when newspapers existed less to chronicle events than to promote political causes and ideologies, Welles made a lifelong commitment to the entwined careers of politics and journalism. He started by becoming part owner and one of the editors of The Hartford Times newspaper. In his early political years, Welles was a Democrat. He helped organize the Democratic Party in Connecticut and his newspaper supported General Andrew Jackson’s bid for the presidency. Welles later became an advisor to President Jackson on matters concerning Connecticut, and he embraced the concepts of Jeffersonian and Jacksonian Democracy, which favored the common man and the right of local self-government. Welles strongly opposed the extension of slavery, and primarily because of his strong anti-slavery views he abandoned the Democratic Party. 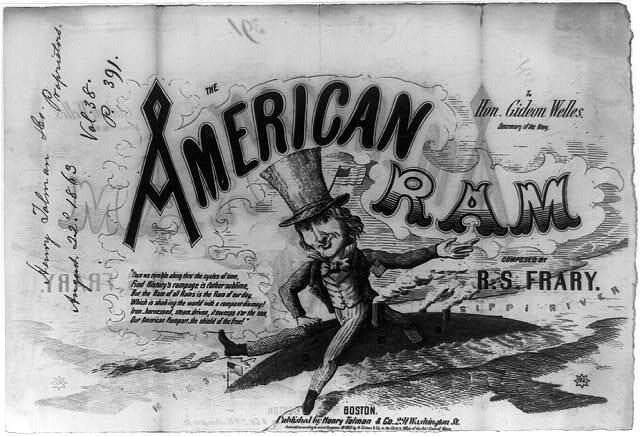 In 1854, he joined the newly formed Republican Party and founded a new newspaper, The Hartford Evening News, to publicize his views. The Democrats were the pro-slavery party supporting the right of the individual states to legalize slavery and the expansion of slavery into the newly settled territories. The Republicans on the other hand, although endorsing states’ rights, were anti-slavery and favored its complete abolition. Welles was engaged in public service on both the state and national levels. One of his first positions was in the Glastonbury Tax Office. He participated in the State Legislature from 1827 to 1835 as the representative from Glastonbury. After, he served as state Controller of Public Accounts in 1835 and Hartford postmaster from 1836 to 1841. He ran unsuccessfully for governor in 1856. He also served in the federal administration of President James K. Polk from 1846 to 1849 as chief of the Bureau of Provisions and Clothing for the Navy during the Mexican War. 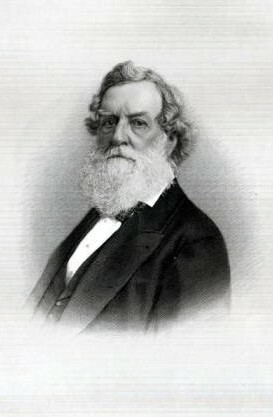 Welles headed the Connecticut delegation to the Republican National Convention which nominated Abraham Lincoln for president in 1860. Upon his election, President Lincoln appointed Welles to his cabinet as Secretary of the Navy. Although he had met Welles only once, Lincoln was impressed by the Connecticut man’s views and opinions, which mirrored his own. Welles was the least politically ambitious of the members of the contentious Lincoln cabinet, several of whom coveted the presidency and questioned Lincoln’s abilities. Welles was firmly supportive of the President. Welles inherited an ineffectual and demoralized Navy. Less than half of its 90 vessels were serviceable and these were undermanned with only 1,500 officers and 7,600 enlisted men scattered about the world. When the Civil War broke out, more than 200 officers defected to the South. The Navy was left with gaps in its lines of command and those officers and men from the South who remained were suspect. In addition, the Union’s principal naval facility, the Norfolk Shipyard in Portsmouth, Virginia, was in jeopardy due to its southern location. 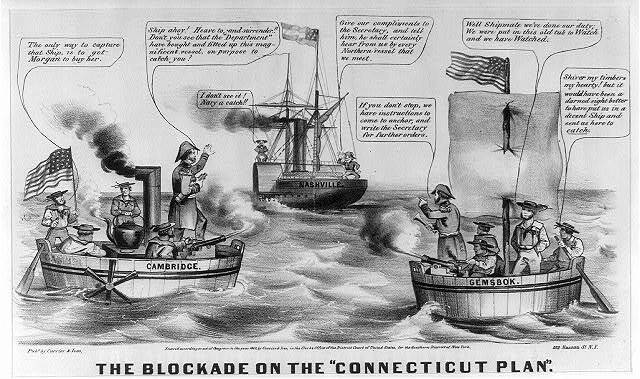 President Lincoln ordered Welles to aggressively pursue a naval strangulation blockade of the South, a key war strategy of Lincoln’s. Welles’s agents bought any suitable vessel which could be fitted with a gun, and he and his staff recruited admirals, officers, and crews to man this navy in the process of creation. Welles’s administration of the Navy was successful. He adopted modern methods of coastal warfare and innovative vessels. Ironclad steam-powered vessels supported by shallow draft monitors closed port after port and river after river in the South fulfilling President Lincoln’s orders. The Washington Star newspaper commented, “So effective a naval force was never improvised by any government so quickly and with so small a means at hand.” The Navy had grown from 45 or so service-worthy vessels to 671 and from 7,600 to 51,000 sailors in just four years, making it a first-class power. Appropriately, President Lincoln referred to Welles as his “Neptune,” after the ancient god said to rule the seas. Welles was particularly astute in selecting the naval leaders who executed the many Union naval victories. Among them was Admiral David F. Farragut who took New Orleans without the aid of the Union Army and achieved the victory at Mobile Bay. Within the Lincoln administration, Assistant Secretary of War Charles A. Dana described Welles as “…an excellent Secretary. He was a man of no decorations; there was no noise in the streets when he went along; but he understood his duty and he did it efficiently, continually and unwaveringly.” To modern eyes, Welles’s great beard suggests that he was personally austere, and indeed he was. He was a man of purpose dedicated to duty and service to his country. Welles had married his first cousin Mary Jane Hale in 1835 when he was 33 and she 18. They had six children, three of whom died of illnesses during the couple’s lifetimes. During Welles’s tenure as Secretary of the Navy, Mary Jane Welles became Mary Todd Lincoln’s closest friend. Each had recently lost a child, and a strong bond developed between the two families. Welles, who had been one of the first to recognize and appreciate Lincoln’s greatness, had the personal confidence and friendship of President Lincoln and was at his bedside when he died after being shot by assassin John Wilkes Booth. Welles continued as Secretary of the Navy through the remainder of the Lincoln administration and into Andrew Johnson’s presidency. After the Civil War ended, he worked to scale down the Navy. Welles supported President Johnson during his impeachment trial in 1867 and 1868 but resigned from his Cabinet in 1869. Welles died in 1878 at the age of 76 and was buried in Cedar Hill Cemetery in Hartford. He is remembered as a patriot who possessed determination and a singular devotion to mission and the principles for which the North fought the Civil War. The town library, a street, and a school in Glastonbury bear his name. The Welles family home, at the center of town remains intact. “Gideon Welles (1802 – 1878).” Cedar Hill Cemetery Foundation, 2017. Link. “The Historical Society of Glastonbury,” 2016. Link. “Finding Aid to the Gideon Welles Papers, 1777-1911.” Library of Congress, 2017. Link. “The Abraham Lincoln Papers - Collins Brothers & Company to Gideon Welles, Thursday, August 25, 1864,” 1864. Library of Congress, American Memory. Link. West, Richard S. Gideon Welles: Lincoln’s Navy Department. Indianapolis, IN: Bobbs-Merrill, 1943.